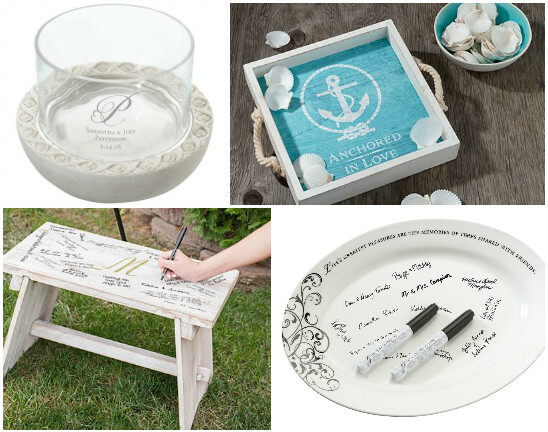 Our online wedding accessory store also carries items that your guests can sign their names directly on, like the Oval Ceramic Signature Plate pictured below. 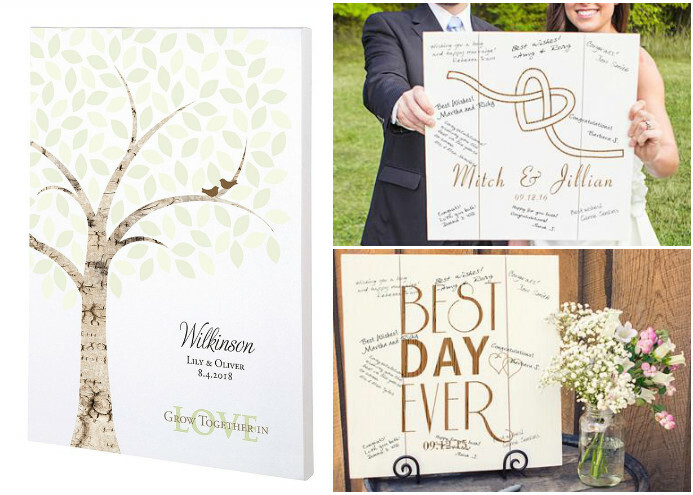 We also carry a lovely Rustic Wooden Guestbook Bench that is the perfect item for a charming country wedding, and it will look fantastic sitting by the front door of your home after the wedding. 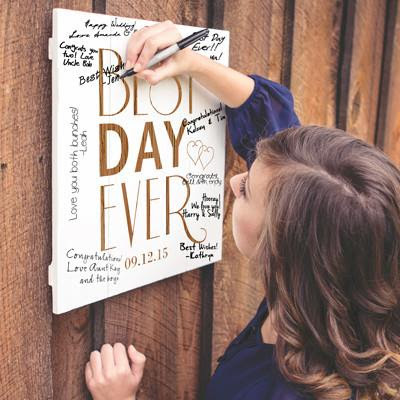 Another guest book alternative that will also look beautiful displayed in your home is a gorgeous piece of wall art for your guests to sign. We have a wonderful variety of different styles of wall hangings for you to choose from which will work with any wedding theme or color scheme. The Home State Gallery Wrapped Canvas Guest Book is available with your state on it and comes in a variety of colors. 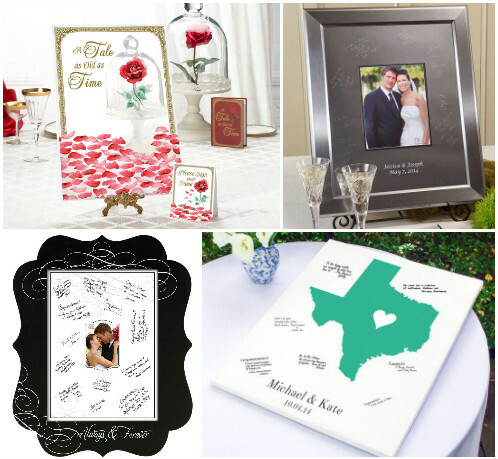 You will even find some gorgeous signing frames that you can display with an engagement photo at your ceremony and reception, then add a picture from the wedding day afterward. If you know a lot of happy couples will be attending your wedding, they just may have some advice that could hold the key to a successful marriage. 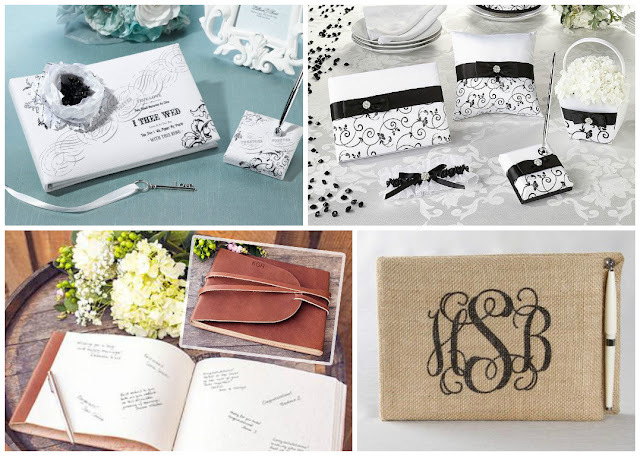 In that case, you can let your guest book be something that allows them to share their words of wisdom. These types of alternative guests books are also a wonderful way for your friends and family to share happy memories that they have made with you and express their good wishes for a wonderful future. 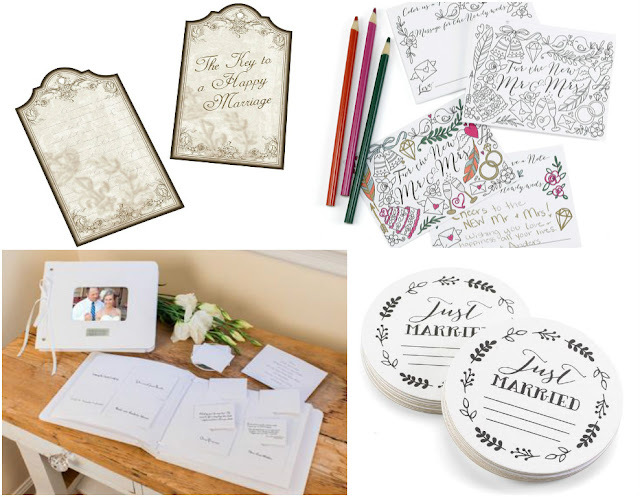 Whatever you decide to use as your wedding guest book, it should be something that you will be able to treasure for many years to come. 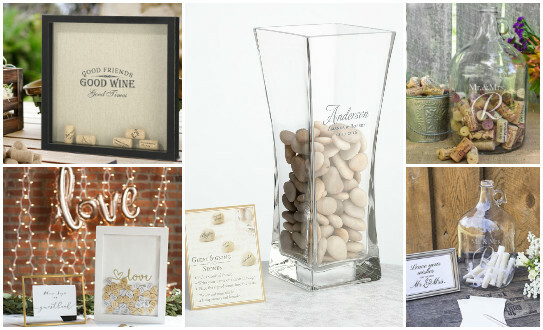 These are only a few of the marvelous options you will find when you visit WhereBridesGo.com. Head on over there now and begin putting together the best wedding ever!